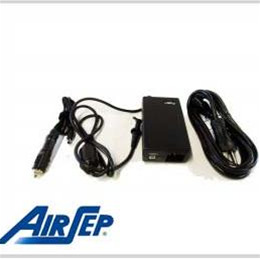 The AirSep Freestyle Universal Power Supply is everything that you will need to recharge and operate theFreestyle 3 or Freestyle 5 oxygen concentrator. The power supply works on either AC or DC power. It allows the Freestyle to operate while the Freestyle internal battery is charging. This power supply replaces the two original power supplies that came with the Freestyle unit. Works with any standard household outlet.